A Qbox USB DVB-S2 TV box is a kind of computer TV card which allows you record and watch digital HDTV programs your personal computer..Many of these PC TV boxes can connect to your computer via USB cable and quickly allow your computer the ability to connect to an antenna or cable/satellite receiver. Some even supports CI port and allows you insert CAM and smart card to watch encrypted channels on your desktop or laptop. Here are how to install a USB TV box on a computer. Note that the installation process may differ depending on the type and brand of your TV box. To install USB DVB-S/S2 Q-Box, you should set your satellite dish aimed at the right satellite. Connect dish LNB to Q-Box “LNB IN” with cable. Plug the power supply and connect it to Q-Box “DC7.5V”. Connect USB cord with one end to your computer and the other end to Q-Box “USB2.0” .then you can connect an audio cable (usually provided along with the USBT TV box) to your computer’s sound card. Your computer TV card is installed. Next, you should install all the drivers on your computer to set up the PC TV box .You can sew the detail installation as below shown in the picture. After installing the hardware, Windows may find new hardware, please choose “Cancel” from the pop up “Find New Hardware Wizard” window. We will install the card driver from Installation CD later. Insert the Installation CD into your CD-ROM. Click “Install Driver” while auto-run appears. A setup window will pop up. Click “Next” to continue. 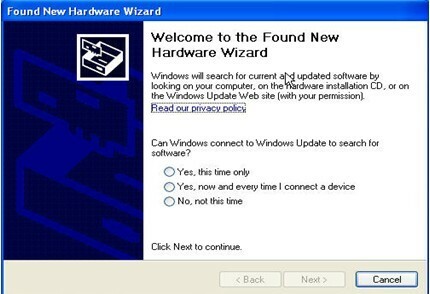 While the below window pop up, Click “Continue Anyway”.then, restart computer, “Find New Hardware Wizard” window will pop up again. Tick “No, not this time” and click “Next” to continue. Tick “Install the software automatically (Recommended)” and click “Next”. The windows below will appear again, click “Continue Anyway” to finish driver installation. 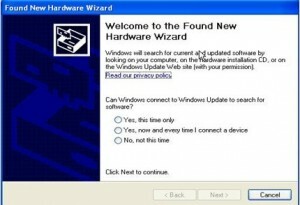 After this, another “Find New Hardware Wizard” window will pop up, repeat previous steps. To verify if driver was correctly installed, choose “My Computer” , right click and choose “System Properties” to pop up “System Properties” windows, click “Hardware” → “Device Manager”. Then click “+” in Font of “Sound,video and game controllers”, if you can see “QBOX DVBSS BDA” and “QBOX DVB S2Capture”, that means you do have installed driver correctly. Click “Install TBSviewer” from CD auto-run to start installation, click “Next” until installation is completed. 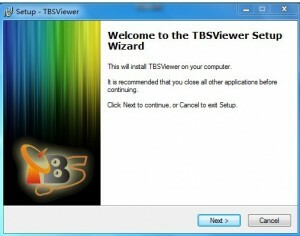 Double click the icon to launch TBSviewer, right click to pop out the window and choose the “Options”. You can also choose another viewer, such as DVBDream, ProgDVB, AltDVB, Skynet, Skygrabber,TSreader. If DVB S2 receiver is installed in the computer, you can see “Qbox BDA DVBS/S2 TV box” on hardware window. Then you can watch digital TV for pc now! Ready to Buy DVB-S2 TV Box?